MyEvent is the one stop shop for all Fundraising Events. With a MyEvent Website you can provide online registration with or without payment, online donations and provide participants with their own fundraising page and team fundraising pages. Make an arrangement with a local movie theatre to provide a special movie night experience to raise money for a particular cause. Offer the management of the movie theatre to fill the theatre on a quiet night, and in exchange, receive a portion of the ticket sales for your charity. Tickets will be more expensive than normal, however you can include popcorn, drinks and other snacks which can be provided by the theatre. You can make it more fun by having everyone dress up according to the theme of the movie. You can tie your movie night fundraising event to the release of a new movie. There are also companies that offer outdoor movie night fundraiser where they will bring all the equipment to your venue weather it is for a backyard event hosting 25 people or a special event that can handle 500 viewers at a golf club. The fundraising event can be for a special sporting event as well such as a pay per view boxing event or playoff game. You should create a free MyEvent website to sell tickets online to your movie night fundraiser. The free website can also be used to accept donations online and provide sponsors of your fundraising event with added visibility. A Karaoke fundraising event is a fun activity that everyone will find amusing. Very little planning and organizing is required. You can simply rent the necessary equipment, or go with the easier option of making a deal with a local karaoke bar. Seeing as the bar will be filled, an arrangement with karaoke bar can be made where a portion of the proceeds from food and beverages purchased that night goes to support the cause. Just as with the movie night fundraiser it is a good idea to choose a night where the Karaoke bar is usually very quiet, because that way they will be more motivated to help you raise money for your charity. The ideal scenario is if you can find a Karaoke bar that sympathizes with your cause and is willing to donate the premises for your Karaoke charity fundraiser. Holding a Bingo Night is a great fundraising event idea as it can include, and is a favorite, amongst those of all ages. A bingo night is a great fundraiser for churches, schools, sports clubs or any other non-profit organization. Not only is Bingo a lot of fun, but not much planning or set up is required. This fundraising event can take place anywhere, all you need is tables and chairs. It is a good idea to have refreshment at your fundraising Bingo Night. Participants will need to buy bingo playing cards and can do so in advance when using a free MyEvent.com website to sell Bingo Night tickets online. Different ticket options can be offered such as an "all in one" ticket including a certain number of playing cards plus refreshments, and you can offer a family package ticket which, for example, includes 5 cards, for $50. Always offer the option of purchasing extra bingo cards as a way of raising more money for your charity or cause. You can get parents, teachers, or volunteers to distribute playing cards and call out the bingo numbers. Winners should receive prizes. Make sure that prizes reflect the age group of bingo players. You can also have door prizes and sell raffle tickets online to raise additional money for your charity or cause. Try and get as many prizes as you can donated. A Casino night fundraising event has the potential to raise very large sums of money, however it does involve significant planning. This sort of event would be geared to an older crowd. As with any activity that may be considered gambling, make sure to check laws and regulations regarding permits or other restrictions that can have an impact on your fundraiser. The fundraising event could be held at an actual casino where there will already be tables and staff, or you can rent a room and decorate it to make it look like a casino and get volunteers to act as dealers. Blackjack, money wheel, poker tables, roulette and craps tables are examples of what you can have at your casino/poker night fundraising event. If you have the budget for it, you can hire a company that specializes in this type of fundraiser who will provide you with all of the necessary equipment and staff. By setting up a free MyEvent.com fundraising website, tickets to your Casino/Poker night, which will act as vouchers that can be exchanged for chips, can be sold online prior to the event. The price of the ticket can include food and a certain number of drinks. Additional drink tickets can be sold online and at your fundraising event as a way to raise more money for your charity or cause. At the end of the evening guests can use their winning chips to make a donation, purchase raffle tickets and/or bid on auction items. To avoid additional expenses, try and get your casino night fundraiser prizes donated. Some great prize ideas include; gift cards, electronic, bottles of wine, and golf outings. You can feature and offer different sponsorship packages, such as table sponsorships, which can be purchased online using your MyEvent.com fundraising event website. Organizing a fundraising dinner/luncheon is a great way to raise funds for any cause or organization. Your fundraising dinner/luncheon can be something simple and inexpensive, like a pasta dinner/luncheon which works best as it is less costly, simplifies the preparation process, and good for those of all ages. If you have the budget for it, then another option is a fancier steak or lobster dinner/luncheon. The more lavish the meal, the more you can charge attending guests. Guests can RSVP and purchase tickets to the fundraising dinner/luncheon online by creating a free MyEvent.com website that makes accepting payments online fast, easy, convenient and secure. Where to hold the event requires consideration because there needs to be a large kitchen and enough room for tables and chairs which may need to be rented. You can try and get a restaurant or hotel to sponsor your fundraiser or cater your event at a reduced cost. This would eliminate a lot of set up and preparation time. Other entertainment and activities, such as a DJ, slideshow, raffle and auction are common at these events. Guest who cannot attend should be encourage to still donate the cause or charity the dinner/luncheon is supporting. Donations can be made online from the same fundraising event website. A gala is a very popular type fundraising event that has the potential to raise a lot of money and awareness for any cause, charity or organization. Organizing a gala fundraising event does require a lot of planning. Galas are usually large formal events where hors d'oeuvres, alcohol, sit down meals and desserts are served. Galas sometime incorporate a specific theme. Location, caterer, photographer, and music all needs to be considered when planning your fundraising gala. A free MyEvent.com fundraising website that has integrated e-commerce tools, makes the ticket selling process so easy and convenient. Attending guests can purchase their tickets online directly from the fundraising event website. Ticket prices are usually quite high to cover costs of holding the event. Different ticket options, such as per person or per table, can be offered online where each ticket can feature what is included in the price. Door prizes, raffles and auctions are typical activities to raise more money at galas. Sponsorship packages and items up for auction can be featured and purchased online from the gala fundraising event site. With the ability to accept donations online, from the same site, more money can be raised to further support and benefit your cause or charity. A celebratory fundraising party that incorporates with a specific theme makes it easier to plan as colors and decorations will relate to your particular theme. You can tie your fundraising party theme with a particular season or holiday such as a Halloween haunted house party. The location can be chosen depending on the type of party being held. Food and music will be needed. With MyEvent.com you can create a fundraising website that can include a design related to your celebration. Your themed party website will allow you to sell tickets as well as accept donations online for the charity or cause being supported. These type of parties are usually the most fun when everyone comes dressed up according to the theme. You can have a best outfit contest where the winner receives a prize. Details about the contest and prizes that can be won can also be featured on your website in order to help build excitement. Having a fundraising dinner party is a great event to raise funds whether it be to honor and benefit of a loved one or to raise money for a particular cause or charity. A fundraising dinner can be as small as 10 people or as large as 50+ guests, and can cater to those of all ages. Dinner parties do require significant planning. You can organize something simple and inexpensive, like a potluck or a buffet. This works best if younger children will be attending and it reduces the cost of food and simplifies the preparation process. Another option is to cater a fancier sit-down dinner, however this is more costly and time consuming. Your budget will play a role in the type of dinner party you select. Where to hold the event requires consideration. Finding a host with a large backyard would be ideal for this sort of fundraiser. Always have a contingency in case of bad weather. Tables, tablecloths, chairs and a small tent can be rented, staff and bartenders can be hired, and make sure you have enough space for equipment should you want to have music or a slideshow. Regardless of how small or large your fundraising dinner party, you will want an accurate headcount prior to your fundraising dinner. With a free MyEvent.com fundraising event website, guests can RSVP online. A custom form can be used to inquire about any food allergies and allow guests to submit what they'd like to bring if it will be a potluck dinner. It is up to the organizer to decide if they want to sell tickets to their fundraising dinner. Instead of charging a fee, invited guests can rather be encouraged to make a donation to the cause or charity being supported. Donations can easily be made online from the MyEvent.com website. A theatre night fundraiser is a great way to raise money and bring together your community. The event can take place in a park or, in a school auditorium, or you can also make an arrangement with the local theatre as you would for a movie night. You should create a free MyEvent website to sell tickets online to your theatre night fundraiser. You can charge more, for priority seating, where all proceeds go to the charity the fundraising event is supporting. The free website can also be used to accept donations online and provide sponsorship opportunities such as snacks and beverages at the fundraising event. A fundraising benefit/talent show is a great way to have people show off their amazing voice, dance moves or demonstrate how good of a magician they are, all in support of a good cause. With a free MyEvent.com website, it so easy for people register online to take part in the fundraiser where they will show off their talent. The name and act of performers can be featured on the website for guests to see prior to the event. You need to choose a venue, such as an auditorium, where there is a stage and a lot of room for people to sit. With your MyEvent.com website, you can also sell tickets online in advance, or charge more at the door, where all proceeds are donated to the cause or charity the show is supporting. Food should be made available. You can usually get sponsors to donate snacks and drinks for the event. Incorporating a contest for the best act will make the event exciting for viewers and participants. The winning act will win a prize. With the websites integrated social media tools, the talent show can be promoted on Facebook and Twitter to ensure high attendance. A fundraising talent show is a great way to have people show off their amazing voice, dance moves or demonstrate how good of a magician they are, all in support of a good cause. Not much planning is involved in this sort of fundraising event. With a free MyEvent.com website, it so easy for people register online to take part in the fundraiser where they will show off their talent. The name and act of performers can be featured on the website for guests to see prior to the event. You need to choose a venue, such as a school auditorium, where there is a stage and a lot of room for people to sit. With your MyEvent.com website, you can also sell tickets online in advance, or charge more at the door, where all proceeds are donated to the cause or charity your talent show is supporting. Food should be made available. You can usually get sponsors to donate snacks and drinks for the event. A contest for the best act will make the event exciting for viewers and participants. The winning act will win a prize. With the websites integrated social media tools, the talent show can be promoted on Facebook and Twitter to ensure high attendance. Who wouldn't want to see the newest fashion trends and collections, especially while raising money for a good cause? A fashion show fundraiser is very similar to a talent show to organize. A large venue is needed with a stage / runway to showcase the clothes and to seat the audience. Clothes to be worn by the participants are usually donated for the cause, and the various clothing brands usually sponsor the event. By creating a free MyEvent.com fundraising event website, you can offer different sponsorships packages which can be purchased online and provide sponsors of your fundraising event with added exposure. From the same free website, you can also sell tickets online in advance, where all proceeds are donated. Ad books are usually a great way to raise more money. The fashion show fundraiser can be promoted via Facebook and Twitter. 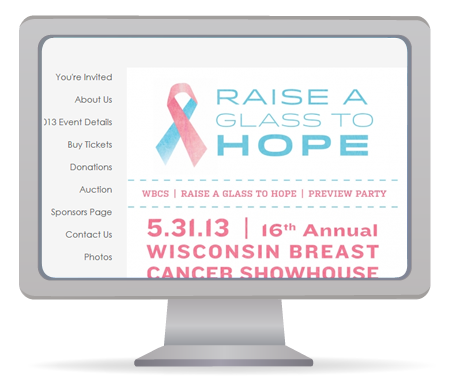 Easily share the link to your website to create greater awareness about your fashion show fundraiser. This is a fun and great way to showcase local talent while raising money for a charity or cause at the same time. Choosing a location, such as a restaurant or bar that usually has live music, is a good option seeing as all the equipment is already there. The venue chosen will have food and drinks, so no need to worry about catering the event. Try and find an owner that has an attachment or sympathizes with your cause so they will either donate or charge a reduced fee for renting, food and beverages. Just as with the movie or karaoke night fundraiser, it is a good idea to choose a quiet night so that they will be more motivated to help you raise money for your charity. Seeing as you are providing the bar or restaurant with a lot of business, part of the proceeds from food and beverages purchased can go to support the cause. With a free MyEvent.com website, bands can easily register to perform online. Guests will be able to learn about the performing bands and purchase their Battle of the Bands Fundraising fundraiser tickets online from the same free website. You can sell tickets online in advance, or charge more at the door, where all proceeds are donated to the cause. Promoting through YouTube and Facebook is a great way to build awareness about the fundraising event. The winning band will win a prize. Sponsorships opportunities and packages can also be featured and purchased on your free MyEvent.com website. A bake sale is a great way to raise money for any cause or charity without having to do much planning or organizing. A bake sale can take place almost anywhere; in schools, sporting events, in a mall, grocery store, etc. Any age group can participate. A contest can also be held where judges select the best treat and the winner receives a prize. Once the sale is over the baked goods can be donated to charity. Using a food or fundraising related template, you can build a free MyEvent.com website, whereby you can share details and promote your fundraising bake sale. Those who wish to contribute baked goods can register online for free. A custom registration form can be created where each baker can submit what treats they will be baking. Having a poker tournament fundraiser is always a fun way to raise money for a cause or charity. It can be a small event It can even be held in someone's backyard or basement with simple snacks like chips and beer to reduce costs, or a larger fundraising event held at a venue, bar or casino. Regardless of the size, you can create a free website using MyEvent.com where players can register online to participate in the fundraising tournament. If you are charging a registration fee, payments can be made online directly from the website. Make sure to check your local laws regarding gambling for a charity. Friends and relative of players should be solicited for online donations where all money raised will go towards the cause or charity they are playing for. Selling raffle tickets is one of the easiest and most successful ways to raise money. A raffle can be held as a fundraiser on its own or at any fundraising event as a means of raising additional funds. You simply have to get people to buy raffle tickets! To do so, you can create a simple and free MyEvent.com webpage and begin selling raffle tickets online in minutes. Sponsors can donate great prizes, which can be featured on your webpage, making people more inclined to purchase more tickets to increase their chances of winning! Having a weight loss fundraising competition involving who can lose the most weight in 6 months, for example, is not only a great way to raise money for a specific cause or charity, but also to get healthy. You should create a free MyEvent.com fundraising website to build awareness and promote the fundraising weight loss challenge. Those who want to take part in the challenge fundraiser can register online, and create their own personal fundraising page to explain to others the reason they are participating. Participants can share the website link with their network and seek online donations for their participation. Friends, family and co-workers will be more than happy to support you taking part in a fundraising event that will support a good cause and encourage healthy living. Before and after pictures can be uploaded onto the personal fundraising pages of participants and donors can leave messages of praise and encouragement. Using social media, which is integrated into your MyEvent.com website, is a great way to promote what you are doing and update viewers about your weight loss journey. If your work place has a gym, then this sort of event will be very easy to organize. If not, you can simply join any gym who can help promote your fundraiser for you. You can approach your local health food stores and gyms for sponsorships, and provide them with exposure on your website in exchange for their contribution. A prize such as a week all expenses paid vacation will be very motivating for participants. Volunteering to shave your head to support a great cause is honorable. Your company can hold an annual fundraising event where participants can sign up online to have their heads shaved by professional where all proceeds will go to cancer research. Participants can be sponsored by friends, family members and co-workers all online. A MyEvent.com donation website makes registering and accepting donations online fast, convenient and secure. Promotion and awareness about the event can be done using social media. Videos and photos of the event can be uploaded on your head shaving fundraising event website, or on Facebook and YouTube with a link to your fundraising event website. This sort of event is quite common and highly publicized on the radio and on TV, conveying awareness for the cause and bringing about exposure to your company. A beard/moustache growing fundraiser is always amusing for everyone in your company. Men in your office can volunteer, and asked to be sponsored, to not shave for one month. With a free MyEvent.com fundraising website, mustache growers can sign up online and create their own personal fundraising pages which they can use to ask for support and display photos of their facial hair. Friends, relatives and co-workers can browse the fundraising website to learn more about the event and cause and conveniently donate online to a specific beard/mustache grower. Donors can post messages on the beard/mustache growers personal fundraising page. A photo album of participants with and without their beard/mustache can be featured on the event website. In order to make the event more enjoyable, you can have a competition and vote online about; who can grow the best beard/mustache or who looks the funniest with a beard/mustache. Prizes will be awarded to the winners. Although always a lot of fun for participants, a treasure hunt fundraiser requires a significant amount of planning. It is easiest if the treasure hunt takes place within the office premises. Office building are usually quite large, therefore details pertaining to the hunt need to be well thought out, especially all of the clues. This will be a time consuming event to plan. Using a free MyEvent.com website, those who wish to participate can register online. Registration can be paid or unpaid. Using the same website, participants can form their own teams, and create their team fundraising pages which can be used to collect online donations. The first team to find the treasure will win a prize. All registration payments and donations will go to the charity or cause the treasure hunt fundraiser is supporting. Be the first one in your community to have a fundraising egg drop. You may have seen a version of this on the David Letterman show. Participants are working in teams and are given the same materials to construct a container that will protect the egg as much as possible. The egg is dropped in the receptacle from a window or the top of a building (make sure someone is watching that it is all clear below so you don't hurt anyone or get egg on their face or your : ). You can have many rounds and eliminate teams whose eggs crack. Keep on moving to a higher floor every round to make it tougher. You can also reduce the amount of time to make the container to make it tougher as well. This is a very inexpensive and fun fundraising event to have. It is unique and participants are guaranteed to have a blast. You need to consider refreshments, materials, and where you will do the event. By building a free MyEvent.com website, you can easily promote the egg drop fundraising event and add a personal fundraising component for each participant to raise more money by getting the most reach. A great race/challenge fundraising event requires a lot of planning and managing, however is a fun way to get everyone in the office working together to support a good cause, charity, or organization. A route needs to be established, clues need to be made, and activities need to be organized. The best way to stay plan, share information, raise the most money possible, and obtain sponsorships for your great race fundraiser is to create a free MyEvent.com donations website. You can select one of many designs which relates to the theme of your fundraiser. With your MyEvent.com website, your colleagues can register online , as an individual and as part of a team, either for free or for a fee which can be paid online. Each team can have their own team fundraising page which will list the names of its participants. Each member of the team can collect online donations from family, friends and co-workers. As incentive, the team that collects the most money can get bonus clues and the winners of the race/challenge will receive a prize for their efforts. Your great race/challenge fundraiser website is also a great way to feature sponsorship opportunities available which can be purchased online. Planning a fundraising golf tournament requires a lot of organization, however has the potential to raise a lot of money for any cause. Special arrangements can be made with a golf course where the event will be held. The golf course can sponsor the event, provide a discounted playing rate and give part of the proceeds from any sales to the charity or cause the event is benefiting. Weather does factor into the enjoyment of the event. With a MyEvent fundraising website, you can invite colleagues to play in the golf tournament using broadcast email, have online registration with or without payment, accept donations, provide participants with their own fundraising page and team fundraising pages, and obtain and recognize sponsors all online! The winning team, and the team that collects the most money, will win a prize. Following the tournament, there is usually a celebratory dinner which requires a significant amount of planning such as food, music, decorations, etc. Try and get as much as you can donated so that the majority of the money raised goes to your cause. 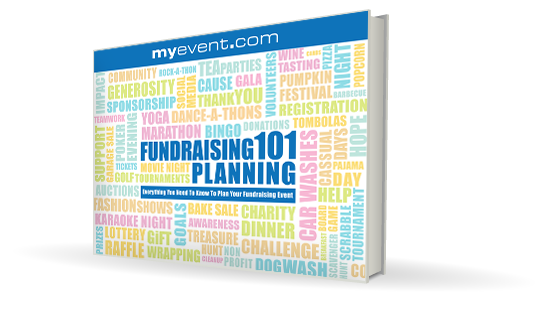 MyEvent.com provides you with all the planning, fundraising and budgeting tools you will need to plan a successful and well attended event. Who wouldn't pay to be able to dress casually to work for a day (especially when the proceeds are going to a good cause)? No planning is required for this type of fundraiser. Employees will be permitted to dress informally by donating online to support a specific cause. A free MyEvent.com website can be up and running in minutes and makes collecting payments and donations fast, simple and easy! Pictures of you and your co-workers all in denim, to support Denim Day for example, can be posted on your website for viewers to see and learn more about the event, and the cause. Corporate social responsibility has become a major part of many businesses. Fundraising events such as cleaning up parks and green spaces or a no driving to work week is quite effective and easy to plan. Using a free MyEvent.com donations website, you can easily promote and create awareness about your environmentally friendly fundraising event and receive donations online to support your important cause. Natural disasters such as floods, hurricanes, earthquakes and tsunamis destroy lives and communities instantaneously. Unfortunately these occurrences are out of anyone's control, but providing aid is something we all can do. When these disasters occur, people want to help those in need by sending money, food and supplies. Organizing a fundraising event to support those who have lost everything is usually quite successful as people really want to help in any way possible. With a MyEvent.com fundraising website, with built in e-commerce and fundraising capabilities, you can raise significant awareness and money to provide relief to those in need by organizing any one of the above mentioned events, or quickly set a simple webpage to just raise money for those in immediate need of support. Whether it be just for fun or to make blankets or clothing for a particular cause or charity, this type of fundraising event is extremely simple and easy to organize. It can be as simple as inviting a group of friends over for an afternoon. All that you need to do is provide supplies, some snacks and you are done! This type of fundraiser may not typically raise as much money as some of the larger events, however, if the time you can dedicate to the project is limited, this could be the ideal event for you. In order to raise the most amount of funds possible, you should create a MyEvent.com fundraising webpage to let others know about your fundraising event and allow them to easily donate online to support the particular charity or organization you are knit/sewing for. A bake-a-thon fundraiser is a great event as it can involve those of all ages. One fun idea is to allow the kids to take part in decorating cakes or cupcakes. A webpage can be created where families can register online to partake in the event. This type of fundraiser is not hard to plan but ingredients will need to be purchased prior to the event and appliances rented. Your best off choosing a location that has a big kitchen, such as a school lunchroom. Safety is a concern for this sort of fundraising event. A major benefit of this type of event is that the food produced can be donated, or sold to raise additional funds. Your webpage can highlight where these funds or goods would be going. A read-a-thon is a fundraising event typically held to raise awareness about illiteracy and to promote the importance of reading programs in schools. Very little planning is needed as the event can take place in a school or library. Parents, grandparents, and family friends will gladly sponsor kids to support their reading efforts. Using a MyEvent.com fundraising webpage, it is so easy to raise awareness about the fundraising event and collecting donation online to support the cause. A game-a-thon fundraising event usually involves a tournament. Any game can be played, from chess to checkers to monopoly or even video games. Location of the event is not of concern because it can take place almost anywhere. Little planning is required, you only need to supply the games. Participants typically pay to participate and compete for a prize. By creating a game-a-thon fundraiser webpage, those who want to play can register and pay registration fee quickly and conveniently all online. Participants can register as an individual or team and share the website link with friends and families to help raise money for the cause or charity the games are being played for. The best way to organize this sort of fundraising event is to make a deal with the owner of a hair salon. Choose a day where the salon is typically less busy for the event to be held. Usually hairdressers will donate their time and skills to support a cause, or can arrange to have a portion of each haircut or blow-dry donated to the cause. Many people grow their hair for months with the intention to donate it to make wigs. With a fundraising website for the haircut-a-thon event, each hair grower can sign up online and create their own personal fundraising page to express why they chose to take part and to ask for donations. Pictures of participants faces as they are getting their ponytails cut off can be posted on the website for the enjoyment of viewers and contributors. Using a MyEvent.com fundraising webpage, you can easily share with your network the good deed you are doing for a particular charity or cause. Others who do not have the time can now participate vicariously through you by paying for your valuable time quickly and conveniently online allowing you to raise a lot of money for your hard work. Donate 10 or more hours of your time to community service, be a mentor, tutor an underprivileged child, work in a soup kitchen, senior's residence, or any worthy charity or cause. Regardless of what you decide to do, your webpage will be the best way to share with others where and why you are volunteering your time and why funds are needed.